Jan's Works of Heart: Use Your Stash - Plain and Simple Does It! 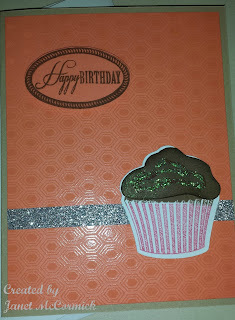 Very nice card :) So how does one participate in this blog hop? whew on the remembering the birthday- cute card! Cute, cute, cute! I love the cupcake! I like the liquid glass with the glitter!